Did you see the guy in the video wearing the purple tights and mask robbing that bank? That’s Brendan’s dad. He’s a supervillain. The law is after him. The internet loves him. Brendan wishes they weren’t related. Fortunately a scholarship fell into his lap to an exclusive private high school across the country in California. The chance of a lifetime. The teachers are attentive and Brendan is making new friends, but Dutchman Springs Academy has its own mysteries. A girl keeps showing up in his electronics lab who can vanish at will, the phone and internet keep going out, and Brendan believes the Headmaster of the school is conducting secret experiments on the students. 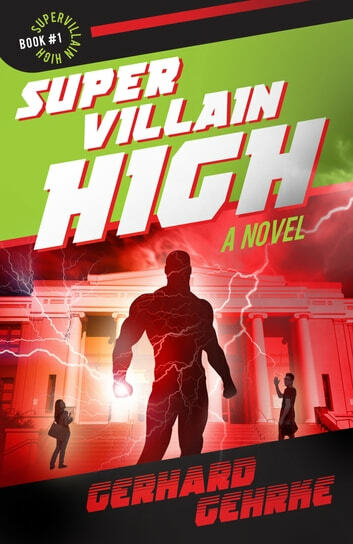 Set in a world where a superhero mania has gripped the nation and otherwise normal individuals don masks and take to the streets to fight one another, Supervillain High follows a boy trying hard to navigate a new school while keeping his relationship with his villain father a secret. But can he resist the temptation of real superpowers when he begins to unravel an otherworldly threat to the safety of the school? A odd but interesting read, read about Brendan as he gets into a expesive high school (which is beyond to expesive for him to pay for). Could his dad the super villian Drone King, be finally be turning himself in. Find out who paid for him to attend the school. Meet Charlotte, a mysterious girl who vanishes and reappears randomly with warnings of threats and danger. 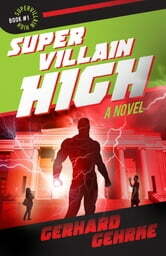 But really, Supervillian High does not match its story. And the story is hard to follow and confusing. I had a lot of fun reading this book and look forward to the rest of the series! Quick, light read!